Clarifies that after the 12-month period that all local laws regarding drug take-back programs are preempted. HB 1047 is scheduled for public hearing in the Senate Committee on Health & Long-Term Care on February 19. Should 1047 become law, it would be the first statewide drug take-back program in the nation. Connect certified peer counselors with individuals who have had a non-fatal overdose. Additional safety measures will also be put in place such as warning statements, risks, and safe disposal of unused prescriptions is mandated. The bill received a hearing in the Senate Committee on Health & Long-Term Care on February 15. The companion to HB 2489 is SB 6150. A different substitute bill passed the Senate Health Care Committee. Substitute 6150 added a requirement for state agencies to develop a data collection plan on the number of opioid-related overdoses for non-English speakers; corrected several technical issues; broadens the scope of non-pharmacologic treatment recommendations to include acute and sub-acute pain; and removed health carriers as entities who can receive PMP data. SB 6150 remains in the Senate Rules Committee. HB 2572 removes health coverage barriers to accessing substance use disorder treatment services. A substitute bill was adopted by the House Health Care Committee and Changes in the substitute can be found HERE. 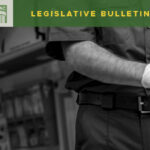 The bill was approved unanimously by the House and is scheduled for public hearing in the Senate Committee on Human Services & Corrections on February 22. Environmental health, as always, is another big policy area this year. Several bills have seen movement that would impact local health jurisdictions. HB 2420 establishes requirements related to SBOH rules addressing the repair, monitoring, and inspections of On-Site Sewage Systems. 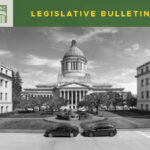 The proposed substitute bill with input from WSALPHO environmental public health directors, department of health, and the state board of health was approved by the House 96-1 and is scheduled for public hearing in the Senate Committee on Energy, Environment & Technology on February 21. The substitute bill eliminated the blanket prohibition on inspection, monitoring, or maintenance contracts as an OSS permit condition, and instead allows for OSS contracts or service agreements to be required where the LHO has local, site-specific evidence of risk to water quality or shellfish growing areas, and when certain conditions are met. 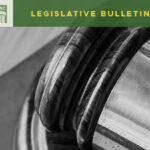 A carryover from the last session, HB 1476 ensures the ongoing viability of safe, reliable, on-site sewage systems in marine counties by identifying best management practices with accountability in on-site program management plans without creating or newly authorizing a fee or other program funding source. Include additional definitions of “unsafe systems” that would include OSS that threaten safety by causing injury or death. Plan to identify and track previously un-known OSS with the target of identifying 20% of un-inventoried OFF in a county annually. Demonstration of how local OSS programs are currently funded and a funding plan for subsequent years, including expenditures and revenues by funding source and activity. Last year, WSAC and WSALPHO opposed the bill based on the reality that current local funding and staffing levels across the state do not have the capacity to operate with these additional mandates. They agreed that the planning requirements and safety consideration elements of the bill are good in purpose, and the primary opposition of the bill is the requirement to update a more robust plan with no assurance of funding. The state should dedicate funds for these plans. Further, planning development is a foundational public health service (FPHS) as defined in the Foundational Public Health Service Functional Definitions (created by DOH and LHJs). As an FPHS, it should be funded through state sources and local fees. Currently, OSS funding is almost completely funded through local fees. LHJs assess these fees (costs to the public) annually and they are ultimately approved by the local board of health. However, to cover new mandates and additional work, fees cannot and should not be raised just to cover deficits in state allocations. The bill will be heard in the Senate Energy, Environment, and Technology Committee on February 21. HB 2639 (Rep. Buys) would exempt certain mobile food units from state and local regulations pertaining to commissaries or servicing areas. WSALPHO’s suggested amendments were adopted and executive action was taken by the House Committee on Health Care & Wellness. 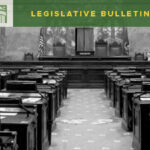 The bill was approved unanimously by the House and is now scheduled for public hearing in the Senate Committee on Agriculture, Water, Natural Resources & Parks on February 20.